Not be confused with the waterfall of the same name in Teesdale, Low Force is the lower of two spectacular waterfalls that are found in Force Gill on the slopes of Whernside. 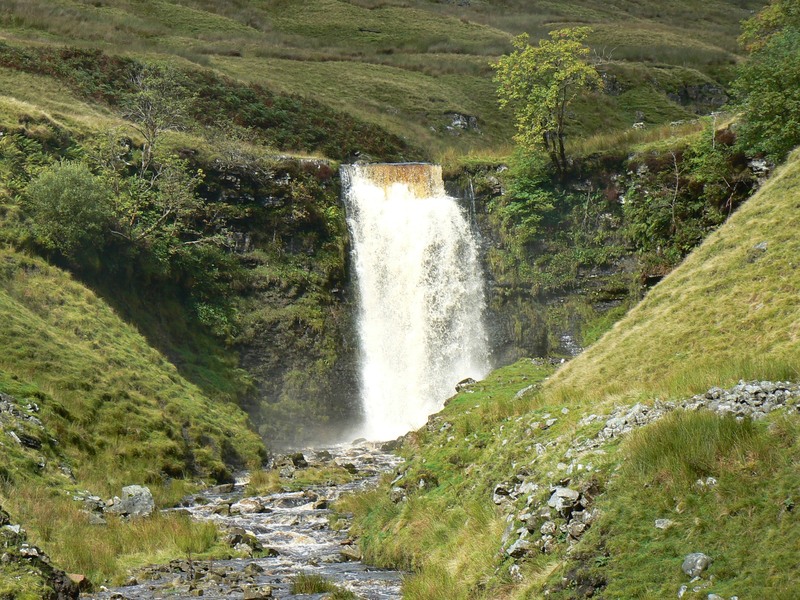 Every year thousands of people walking the ‘tourist route’ on to Whernside will catch a sight of this waterfall but very few make the short detour from the path to view this magnificent spectacle. 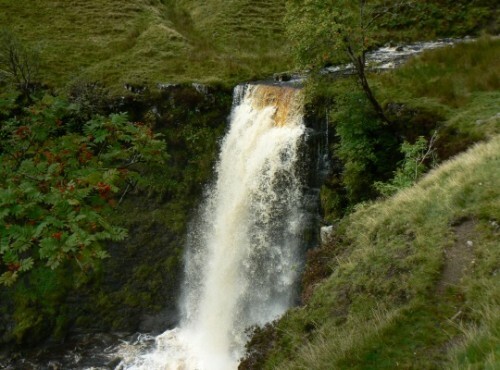 This is a shame as it is without doubt one of the best waterfalls in the country. 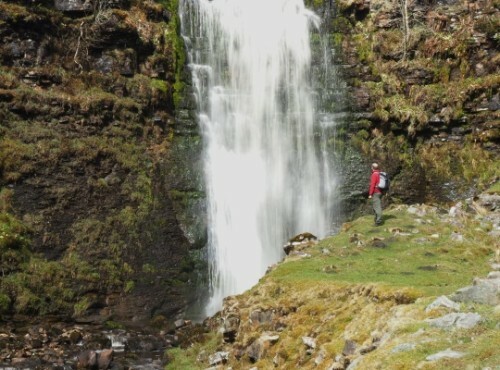 An ascent of Whernside via Force Gill (the name basically means ‘Waterfall Gill’) has the double advantage of getting a close up view of Low Force and High Force as well as avoiding the crowds taking the main route. Definitely recommended.